With a third casino coming, has Southend become a gambler’s paradise? IT may not quite be Las Vegas yet, but Southend is showing signs of becoming an Essex gambling Mecca. Next year, the town will boast its third casino within two miles on the seafront. The Grosvenor Casino is set to open at the Park Inn Palace Hotel, in Church Road, by the summer. It will join the Rendezvous Casino at the Kursaal and the Genting Club in Western Esplanade, Westcliff, in the centre of town. There has also been talk about a fourth casino – as part of the new complex for Southend United’s planned Fossetts Farm development – but this appears to have been dropped. But the three casinos, added to numerous betting shops and odd bingo hall in town, shows there is certainly no shortage of places to have a flutter in town. Martin Terry, leader of the independent group on Southend Council, believes the town’s proximity to the capital, and residents with spare cash, is behind the surge in gambling outlets. He said: “I think it shows the area is relatively affluent, and that we’re an extension of London in a way. “People enjoy nights out at casinos. They work hard in London and want to spend their cash locally. There’s been a lot of regeneration in the town. 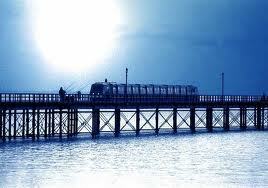 Southend is a more attractive place to come. I know that people use the airport and stop for a night out in town now. Tom Byrne, 67, a salesman butcher at Smithfield meat market, in London, enjoys an occasional bet and visit to the casino. Mr Byrne of St Paul’s Road, Canvey, said: “If you bet more than you can afford, then it’s a problem, but if you are sensible then you won’t have any problems. “I likeaflutter now and then on the football or gee gees, but I don’t spend more than about £20 a week on it at most. However, retired David Williams, 71, of Little Wheatley Chase, Rayleigh, thinks there is a darker side to the gambling industry. He said: “I’ve got a 25-year-old relative with no money–he’s got payday loans coming out of his ears. The reality is that the UK casinos have become tired in their design and visit experience. In the 70’s and 80’s they were different and they relied on the curiosity factor which has since disappeared. The Casinos are now confused with the American design and the operators assume that neon and chrome will do the job. This is certainly not the case and they should be looking at personalising the Casinos and giving them a Theme ! !